It’s not uncommon for tech savvy Jews in Cyberspace to develop online relationships with other Jews who frequent some of the same social networking sites and blogs. These relationships, however, often remain in Cyberspace. Sure, there are the occasional conferences and retreats in which techie Jews will meet in the "real world," but most of the communication takes place online. These friendships transcend geographical limitations. The discussions take place on Facebook and Twitter and in the comments section of blogs. They span across several time zones and don’t discriminate between denominational affiliation. While these friends in Cyberspace won’t run into each other at the grocery store or picking the kids up from school, they will be there to offer condolences upon the death of a relative or to share in the happiness of a simcha. 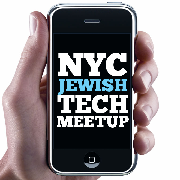 Collaboration among this group is Jewish techies is common and start-up initiatives have been created in recent years to bolster the entrepreneurism of this community. On May 16, Jewish New Media Activist Daniel Sieradski posted an announcement on his Facebook page. His announcement simply read, "Sign up for the inaugural Jewish Tech Meetup, June 16" with a link to an event on the meetup.com website. 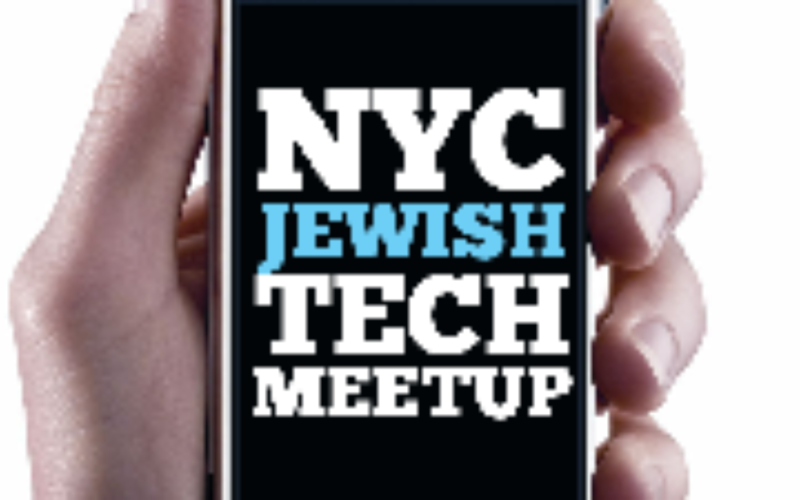 A week later, on May 23, Sieradski tweeted that "The Jewish Tech Meetup sold out in just two days w/o even announcing a speaker. Talk about filling an obvious need…"
He explained that "the NYC Jewish Tech Meetup seeks to bring together Jews who tech, either in or out of the Jewish community, for networking and professional development opportunities, as well as to get Jews -in- tech to bring their skills and ingenuity to the table to try to address some of the bigger challenges facing the Jewish community, particularly with regards to education, social welfare, and political organizing… The hope is to develop community and an open exchange of ideas between those doing IT for Jewish causes and Jews who know IT better than they do Judaism or Jewish issues." This event falls under the umbrella of Open Source Judaism, the initiative Douglas Rushkoff and Sieradski started in 2003 with the launch of Rushkoff’s book Nothing Sacred. Open Source Judaism seeks to promote openness, transparency and direct democracy in Jewish education and communal leadership. Sieradski describes the endeavor as being "fully inclusive, nondenominational and non-proselytizing (ie., we are not a religious organization) though we do engage issues of Jewish spirituality and education." Sieradski promises to announce the guest speaker for the June 16 event slated to take place at Hazon’s Makom Hadash, which is a residency center for second-stage Jewish non-profit organizations. Makom Hadash combines affordable space and office services with a community of colleagues and regular opportunities to learn, socialize and collaborate, it enables its member organizations to focus more on their missions, develop more sophisticated organizational infrastructure and collaborate more effectively together. "Founded in 2010, Makom Hadash now offers space for up to 27 full-time workers; a few spaces for resident organizations are still available. Stage II, slated for completion later in 2011, will expand capacity to 45 seats. In addition, organizations not requiring full-time office space can join the center’s community as non-residents members, using Makom Hadash for drop-in space and office services, and to connect with Jewish non-profit colleagues." Over the past few years, the level of collaboration among tech savvy Jews, both in and out of the Jewish communal world, has been impressive so it will be interesting to see what happens when they’re actually in the same room.